Leggings are the most comfortable piece of clothing ever, so it only makes sense to extend that comfort to swimwear. 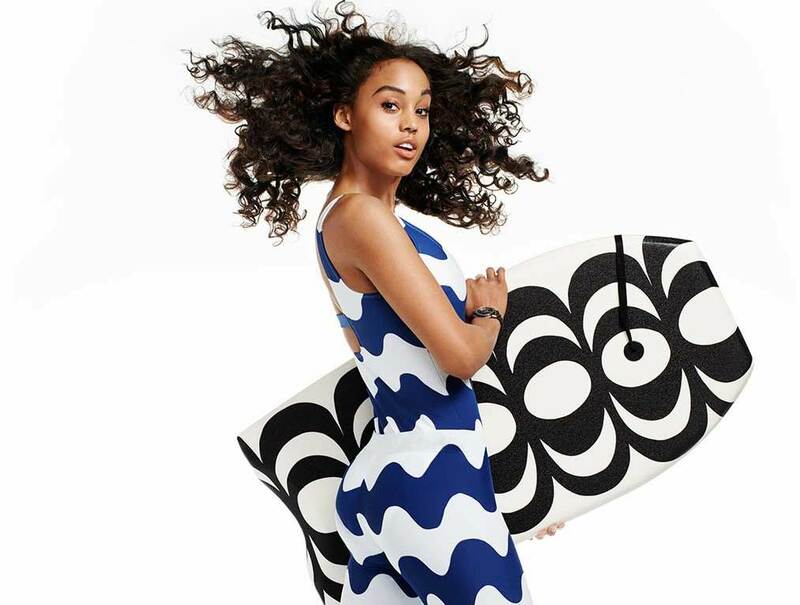 Target’s upcoming design collaboration with the Finnish design brand Marimekko will include super-cute swim leggings. The Marimekko for Target line will include a black and white floral “Paprika” print and a blue and white “Lokki” print. It might seem a little strange at first glance, but swim leggings aren’t exactly a new thing. Traditional wetsuits — used for surfing and other ocean activities — are basically swim leggings, albeit in a heavier material. And that’s exactly what Target is going for. A quick search on Google nets dozens of other options for swim leggings from a variety of brands in a variety of cute patterns — some cut as full-length pants, others in a more capri-like style. The real reason we love these swim leggings? They give those who want a more conservative look another option when hitting the pool or beach. Some people want to rock bikinis; others don’t. The most important thing is wearing what makes you most comfortable. The Marimekko for Target swim leggings will retail for $25 when the collection launches on April 17.